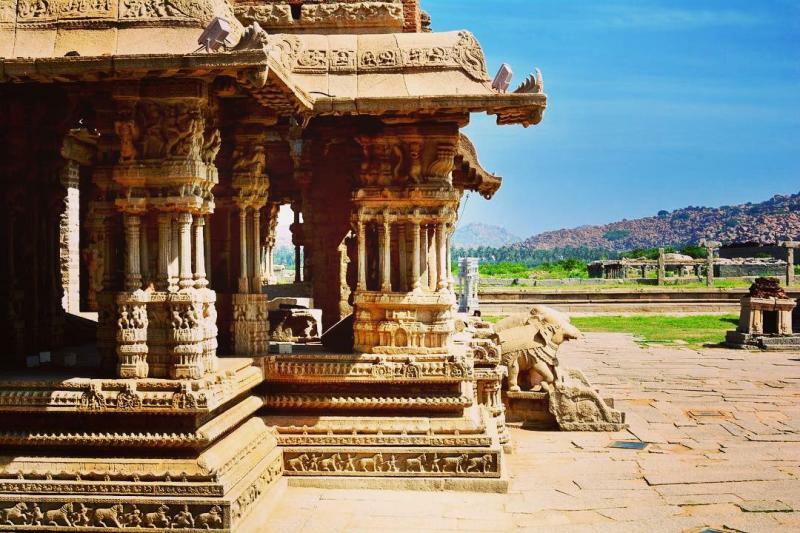 Hampi: The land of wanderlust is something where you can find everything but with and old-worldly charm to it. From ancient monuments, sculptures and temples and of course the immense scenic beauty, it has everything that your eyes urge for! ‘Pushkarani’ literally translates to a temple tank, and it is. 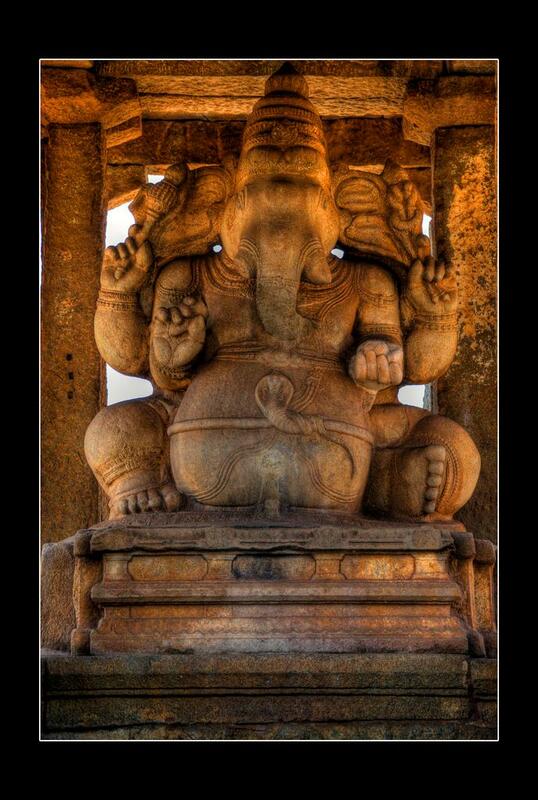 Set in the Mahanavami Dibba in the Royal Center of Hampi, it is geometrically shaped without any carvings. Hampi was once a thriving town but now all it has left are ruins which works as an example of how rich, vibrant and glorious India’s past is. In the Sasivekalu Ganesha temple resides a statue of Lord Ganesha where a snake encircles the belly of Ganesha. The story goes like the lord ate so much food that his belly was about to burst and thus, not been able to find a rope, he tied a snake around his belly. This statue is about 8 feet (2.5 meters) tall, carved out of a single block of rock. 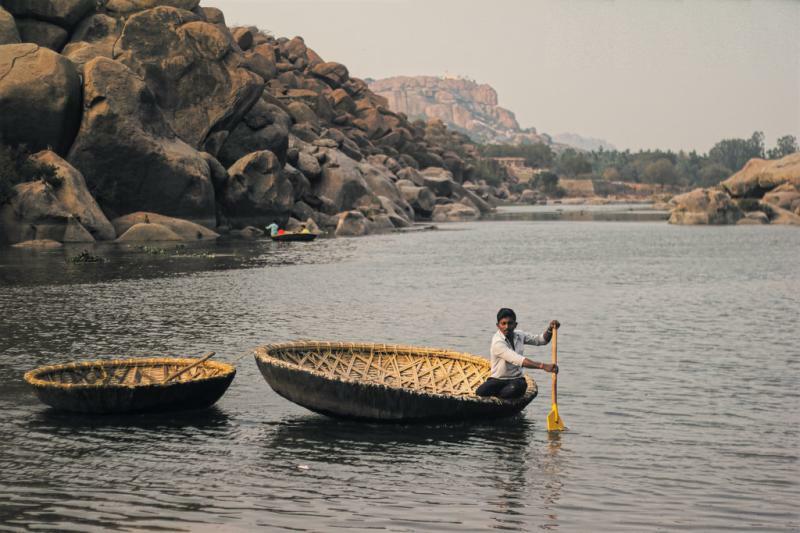 For the adventure enthusiasts, you can take a unique coracle ride on River Tungabhadra. Don't be scared looking at the size, it is totally safe. 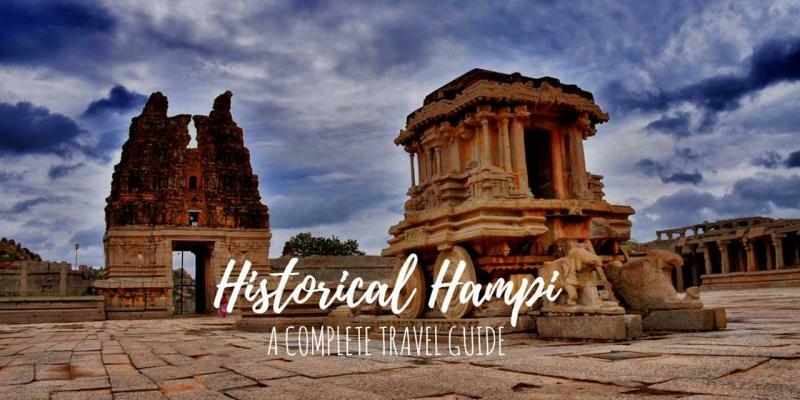 From Virupaksha to Vittala Temple, Hampi is one of the most visited pilgrimage. 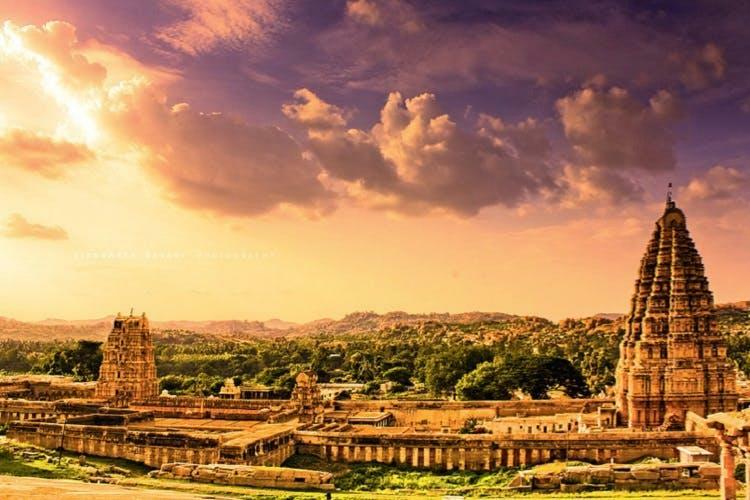 Virupaksha temple is dedicated to Lord Shiva and it is one of the oldest functioning temples in India and Vijaya Vittala Temple being the rock solid Dravidian-style architecture. Dedicated to God Vittala, it was built in the 15th century AD. Hazara Ram temple is also one of the fascinating temples where historical objects and fossils can be found from treta and dwapur yug. The Ranga Mantapa consists of 56 musical pillars with each representing different musical instruments and gives out different musical notes. The Ranga Mantapa also celebrates the annual festival of Purandaradasa.